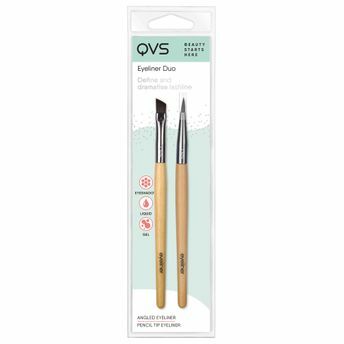 Define and intensify the lashline with eyeliner or darker colored eyeshadows with the QVS Eyeliner Duo. This pro-quality eye brush set makes application easy, achieving the flawless look you desire. Pencil Tip Eyeliner: Perfect for covering false eyelash bands after application with gel for a seamless finish.